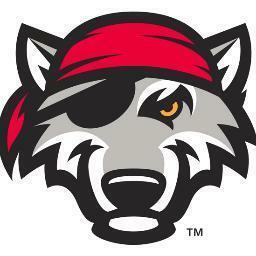 Erie SeaWolves GM Greg Coleman chose an interesting way to cope with his son's autism diagnosis. He ran. A lot. As a teaser for tomorrow's Erie Reader cover story on the city's double-A baseball team, the SeaWolves, I thought I'd share an interesting part from a two-and-a-half hour interview with SeaWolves team president and general manager, Greg Coleman, that didn't make the print story. Greg Coleman's son, Kevin, was diagnosed with autism at age three. During our interview Coleman explained the process of discovering his son's autism – his son was falling behind in his verbal development – the challenges his son faces, the difficulty of navigating school and treatment. Since the diagnosis Coleman has become involved in the autism community, serving on the board of the Princeton Child Development Institute and raising money for various autism groups. He's also instituted a "sensory friendly" day at Jerry Uht Park, a day that the sound system is turned down, the on-field between-innings entertainment is "ratcheted down," as he put it, and a suite is reserved for families with autistic children to have a quiet spot to recover from the stimulus of the game. "Just because I have a connection to autism," he said, explaining the choice to build a game around the condition, "doesn't mean we wouldn't do something similar for other folks. It just happens to be that I'm a little bit more immersed in that particular area, so we got to that one first. "It was a club no one intended to join, but we're members. And I guess we're going to try to be the finest members we can." But perhaps the best part of our talk about his son and his family's experience with autism was how Coleman chose to cope with the diagnosis. He ran. A lot. When the whole thing happened, there's the whole shock and awe portion . What do we do? What do we know? Where do we go? My wife's read – I don't know – a hundred books on the subject. She has immersed herself in it. I took a slightly different path to it. I ended up turning it into something that was team oriented, public oriented....I was just trying to figure out how to go from being a dad, to being a dad who has a son with autism – in the midst of a baseball season....What I ended up doing in Trenton – I coincidentally happened to be running, preparing for a triathlon, which I had never done before. And I just came up with a crazy idea. This happened in late August. Our team's going to the playoffs. I'm coming at it, I'm not thinking, oh this is a charity thing, I'm thinking, how do I put more people in the ballpark for the playoffs? Then it turns into, everybody's going to be talking about us going in the playoffs, and we're going to be able to do something for a good cause. It just turned into that. It got a lot of publicity. It was a great PR thing for the team, and it turned out to be a coping mechanism for me. Five hundred laps around the bases on a standard-sized field (at 90 feet between each base, or 360 feet for a full circuit) adds up to just over 34 miles.